Artistic Director Charles Newell revives his wildly successful 1995 production of Travesties to celebrate Court’s 50th Anniversary Season. Springing forth from the faulty memory of Henry Wilfred Carr, a minor official of the British consul, this witty and brilliant collision of three major historical figures– Lenin, James Joyce and the Dadaist poet Tristan Tzara– jumps time and styles in a dazzling fashion. 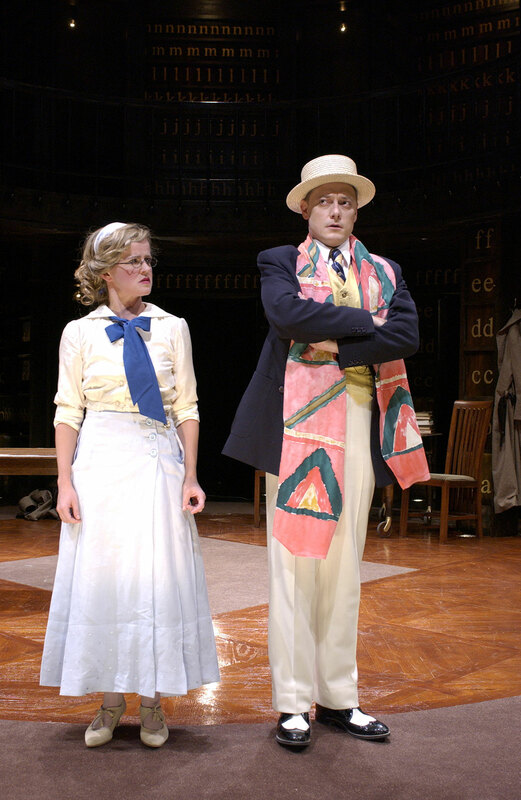 Travesties features a clever play-within-a-play of The Importance of Being Earnest, and Court’s production highlights this connection with the casting of Lance Stuart Baker, Sean Allan Krill, Heidi Kettenring, Cristen Paige and Mary Beth Fisher. These artists will reprise their Earnest roles from earlier in Court’s 2004/05 season or play roles written by Stoppard to reflect parallels between Travesties and Wilde’s romantic comedy. Travesties is the intelligent and hilarious creation of one of the world’s most notable playwrights, and is replete with limericks, puns, word play, and paradoxes that will excite the intellect.